Home » Gadgets & Apps » Hardware & Software » WhatsApp with all its security might not be as safe as you think. WhatsApp with all its security might not be as safe as you think. From end-to-end encryption to 2 step verification and everything in between, WhatsApp has been going in hard to make it’s messaging application as secure as possible. This is always until their metal is tested which is what Tobias Boelter, a cryptography and security researcher at the University of California, Berkeley did. He discovered a vulnerability in the end-to-end encryption implemented by WhatsApp claiming that there is a backdoor to which WhatsApp can snoop on encrypted messages. How this works is like this. Every user has a dedicated encryption key that can be regenerated at will. This key is used to verify the recipient of the message as well as to decrypt the message so that the recipient can read/see/hear it. 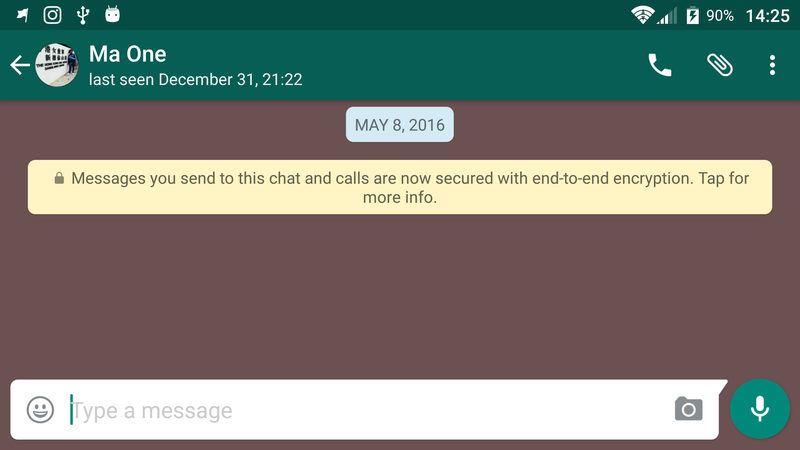 Now every time you uninstall your WhatsApp or change numbers, a new encryption key is automatically generated. Due to the nature of WhatsApp that is initiating an automatic resend of an undelivered message (for purposes of guaranteed message delivery), when a new encryption key is generated, a connection is detected and all pending messages are delivered. Boelter goes on to say it is not the encryption service that is vulnerable but rather it is WhatsApp’s’ implementation of the service that is introducing the loopholes. Whatsapp is a US company, nothing surprising here since NSA wants to access everything and getting backdoors delivered to them by all big companies. Its only that individuals do not have the same powerful computers US Secret services have to explore the backdoors. There are back doors to encryption mechanisms. Meet the person – talk face-to-face and you viola.. its between the two of you.! Given the size and scope of WhatsApp’s user base, we feel that their choice to display a non-blocking notification is appropriate. It provides transparent and cryptographically guaranteed confidence in the privacy of a user’s communication, along with a simple user experience. The choice to make these notifications “blocking” would in some ways make things worse. That would leak information to the server about who has enabled safety number change notifications and who hasn’t, effectively telling the server who it could MITM transparently and who it couldn’t; something that WhatsApp considered very carefully. Even if others disagree about the details of the UX, under no circumstances is it reasonable to call this a “backdoor,” as key changes are immediately detected by the sender and can be verified.